I would recommend Dr. Rose to anyone. He is very knowledgeable, takes his time and answers all questions until you, thepatient is satisfied. Best Opthomologist ever! I would recommend Dr. Rose to anyone. He is very knowledgeable, takes his time and answers all questions until you, the patient is satisfied. Best Opthomologist ever! 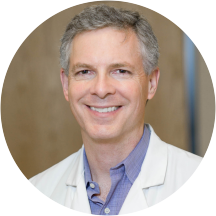 *Our practice is expert in responding to emergency or urgent eyecare appointments* Brian Rose is a brilliant and engaging ophthalmologist based in Tempe, AZ. Dr. Rose is an alumnus of Saint Louis University, where he earned his medical degree. He completed his residency in internal medicine at the SSM Saint Mary’s Health Center and his residency in ophthalmology at the Bethesda Eye Institute. Dr. Rose is certified by the American Board of Ophthalmology. He is also a member of the American Academy of Ophthalmology, the Arizona Opthalmological Society, the Phoenix Ophthalmology Society, the Arizona Medical Association, and the Maricopa County Medical Association. Dr. Rose is uncompromising in his dedication to the wellbeing of his patients. He is committed to giving the best care and establishing long-lasting relationships with them. His vast medical experience includes the treatment and management of ailments such as eye infections, glaucoma, allergic eye problems, cataracts, double vision, eye misalignment, corneal abrasions, and macular degeneration. Thorough, professional and informative. Excellent appointment. Highly reccommend him and staff. Dr. Rose is terrific: highly professional, careful, focused. ALWAYS PROMPT, COURTEOUS AND HIGHLY PROFESSIONAL. All office personnel very friendly and welcoming. Every step of the exam was explained so there were no surprises. Just a brief follow-up --- all went well. Everything and everyone associated with Dr Rose's practice is top notch, A1, 5 stars, as regards professionalism, efficiency, great care, respect, and affable. Dr Rose is an exceptional doctor. Dr. Rose removed my cataracts and implanted new lenses. He did a most excellent job. What I liked most about Dr. Rose is that he explained, in great detail, the whole procedure, so that I was completely prepared for what toexpect. Dr. Rose must have told patients what he told me many, many times, yet he took the time with me to say it all over again, and I appreciated that very much. Been going to him for years. He is very knowledgeable, puts one at ease and I trust him and his judgment/recommendations. Very professional. Gives me confidence that I am receiving excellent care. Used the drops that were given & what a huge difference even though only first day using. Very happy and would definitely refer others. Thank you! I have been seeing Dr. Rose for years and he has always been very helpful . He is very kind and listens carefully to his patients . I highly recommend this physician. Dr. Rose patiently presented all options for my eye treatments (including a wait see approach). We then spent a fair amount of time discussing which option would likely suit my needs today and developed a planned approach for future actions. Very satisfied with his whole approach to my situation. Great visit, very thorough, professional, staff was great too! Very professional, knowledgeable, and informative. Gets the job done quickly. Dr. Rose was very thorough in his examination of my eyes. staff and physician very professional and personable! I have been seeing Dr. Rose for eleven years. He is professional, knowledgeable and a great guy! Dr. Rose is so kind, generous and knowledgeable. He is thorough and always answers questions and gives information that I may understand. I have been to others but he is the very best in all departments. I refer him to all my friends. Dr Rose is pleasant without being overly friendly. He knows his business. Been in it for 25 years. Very professional. Dr Rose is very patient and willing to take the time to answer questions and fully discuss diagnostic, treatment, and prescription issues. He does not over-schedule in order to assure adequate un-rushed time with patients. Always the quintessential most professional doctor one could meet. I am so fortunate to be one of his patients. Wonderful in every respect, and the staff, Lauren and Andrew, also best customer service, patience and professionalism providers! Thank you!! I have been going to Dr. Rose for years. He is very knowledgeable in his field. I have had cataract surgery and lens implants in both eyes done by him. He has such a calm demeanor and is very patient. Hecan put one completely at ease. He answers all your questions. I have referred friends to him and they have been impressed with his professionalism and skill as well. Many years ago, my father had glaucoma and went blind from it so I see Dr. Rose twice a year to check and test my vision and pressure. I feel quite confident that he is taking great care of my vision. Everyone from the fellow who checked me in to the technician and Dr Rose was friendly and professional. You spend a lot of time sitting around, but that just seems to be the nature of the exam process you have toundergo. Fortunately, after several visits I know what to expect. So, no worries. He’s an excellent ophthalmologist and surgeon. His assistant is great. They answered all my questions post op. Dr. Rose is an excellent surgeon. He was very thorough evaluating my need for cataract surgery and explained the upcoming procedure in great detail and then satisfactorily answered all my questions. Dr Rose is very knowledgeable and very efficient. I felt very comfortable with him bc he explains what’s going on every step of the way! Pleasant and personal staff, well informed. Quick in and out, all concerns addressed. I’ve seen Dr Rose for 23 years. He is very thorough and professional. I highly recommend him. Dr Brian Rose is a great Physician. I will gone to him for years and will not see any one else. Today it was not to see Dr Rose, however he arranged 2 tests, completed by Chad and then Travis...PERFECT scores, as I would give Dr Rose. This is an amazing practice- all the staff are so professional, and have the best customer service skills on the planet! I arrived 25 minutes late due to car issues....checked in and was called back immediately. Love this office and Staff members!